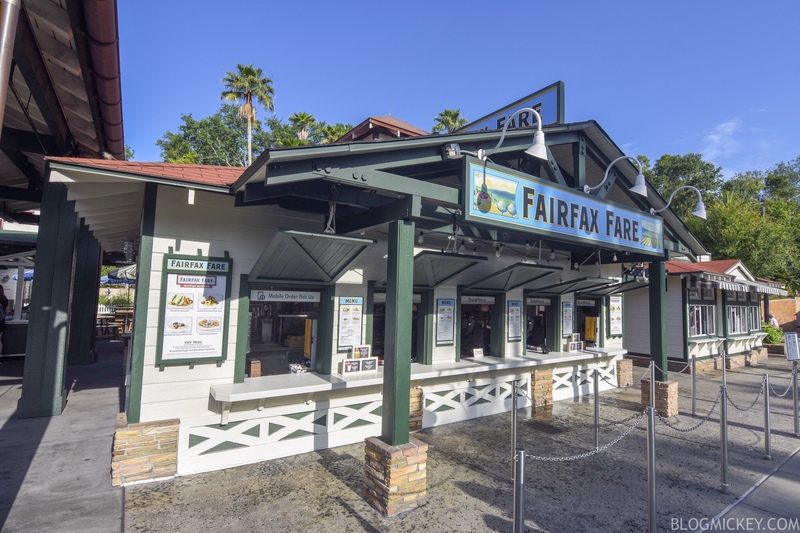 Fairfax Fare at Disney’s Hollywood Studios is now serving breakfast. 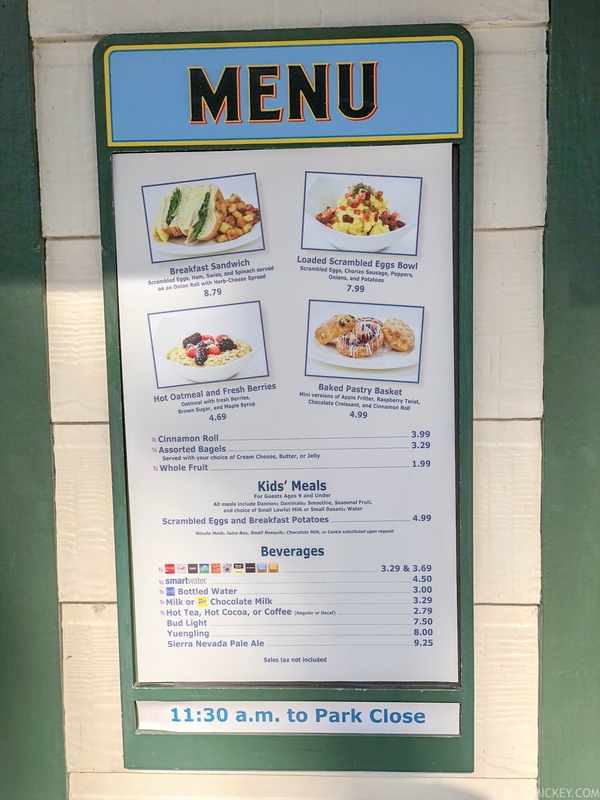 The new breakfast offering started April 22nd and runs from park opening to 11am. So it is worth a stop after rope dropping a couple of attractions? Let’s find out. 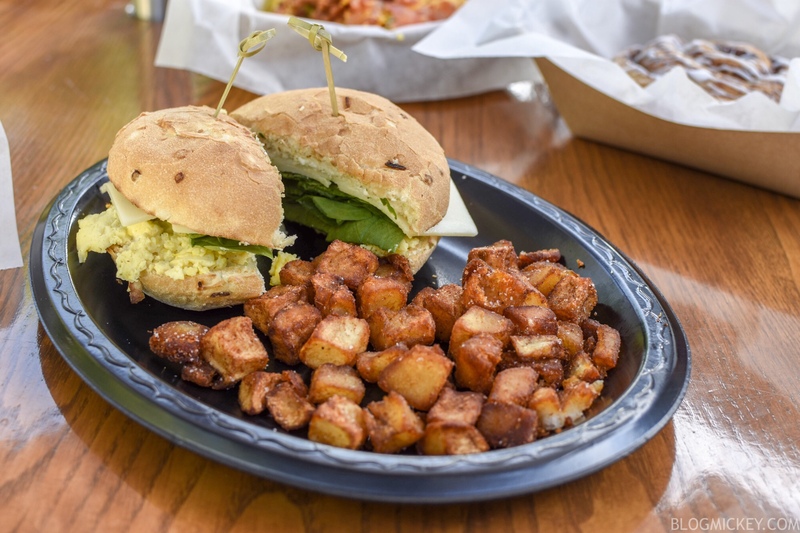 This sandwich comes with scrambled eggs, ham, Swiss, and spinach on an Onion Roll with Herb-Cheese spread. I’m happy to report that all of the offerings we tried were delicious, and this sandwich was excellent. The combination of the herb-cheese spread and Swiss cheese made for an extraordinarily flavorful sandwich that wasn’t expected on first glance. The onion roll was very soft and supplements the already wonderful flavors nicely. The side of hash was nicely crunchy and not over-seasoned. A highly recommended dish. 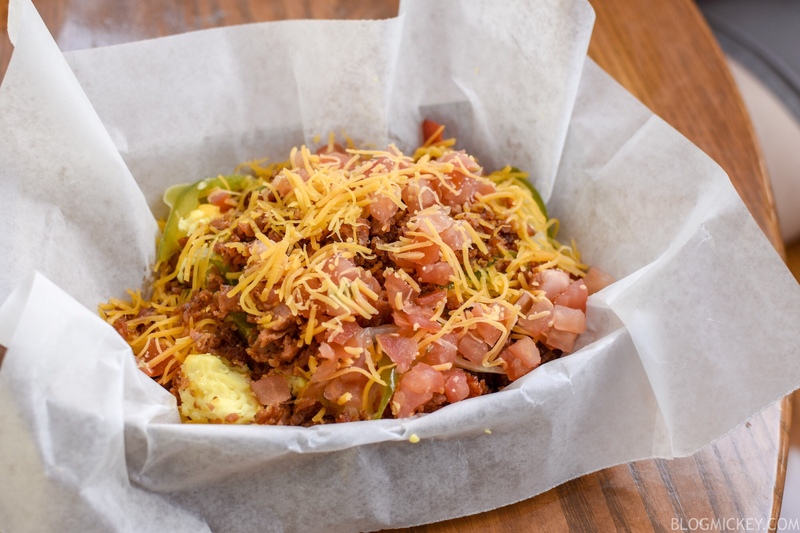 This loaded bowl comes with scrambled eggs, chorizo sausage, peppers, onions, and potatoes. This is another solid dish packed with a variety of flavors and some heat. 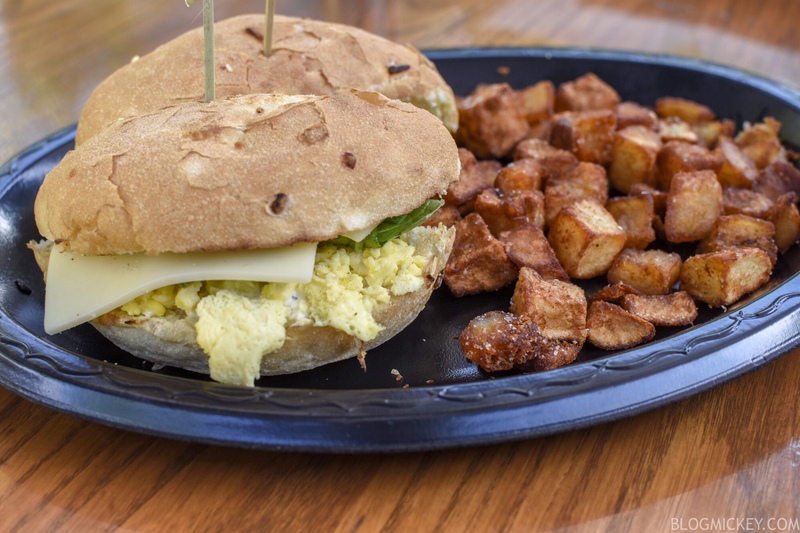 Each bite offers the opportunity to enjoy all of the ingredients, with the predominant taste coming from the chopped chorizo sausage. The chorizo sausage adds a spicy kick to the bowl, while the eggs, onions, and diced tomatoes try to neutralize it. Both the red and green peppers end up tipping the scales to a bowl that offers a nice bit of spice and heat to your morning. We definitely recommend this bowl. 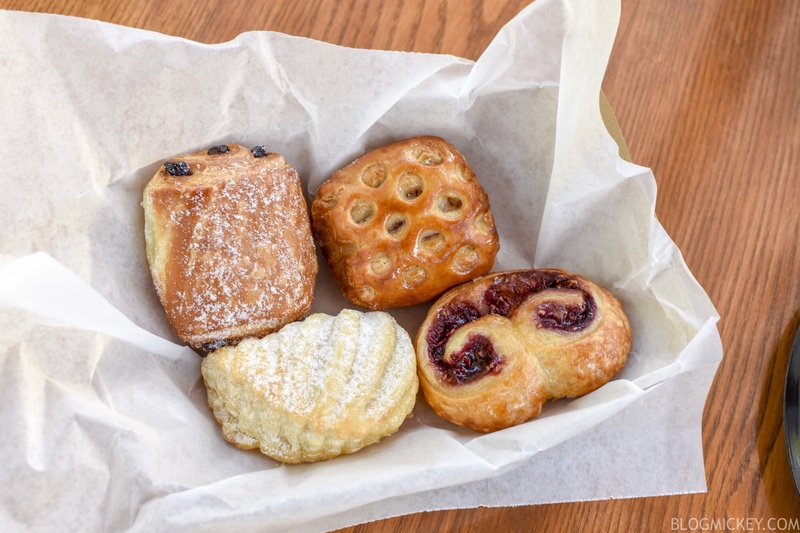 In the basket, you’ll find mini versions of a raspberry twist, apple fritter, chocolate croissant, and cinnamon roll. Each of the items came baked perfectly, with a flaky, airy texture being the theme. The fruit found inside of the pastries was noticeably fresh and tasty. 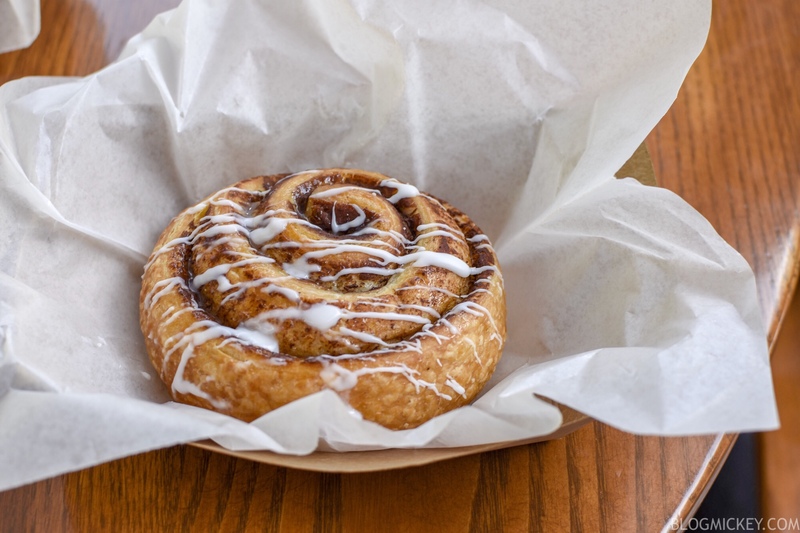 A large cinnamon roll is available as an al la carte option and is 5 times the size of the roll found in the pastry basket. While there was nothing overly amazing about the cinnamon roll, it’s 20 cents cheaper than the exact same item found at Starbucks nearby. Skip the Starbucks line and get your cinnamon roll here instead. 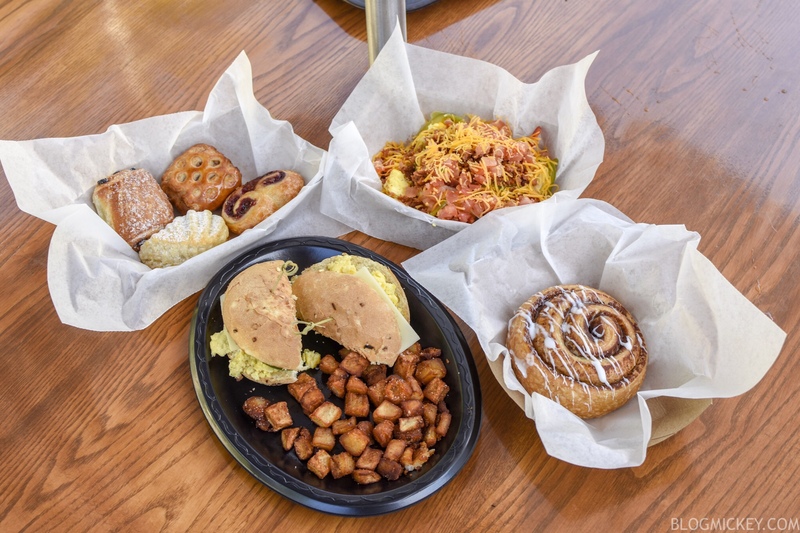 Overall, Fairfax Fare has a very solid lineup for breakfast and we wouldn’t hesitiate to recommend any of the items we tried.